PFC Scores Win at Daytona with Johnson and Roush Jr.
Billy Johnson and Jack Roush Jr. captured the win at Daytona in their No.61 Ford Mustang Boss 302R GT equipped with Performance Friction ZERO DRAGTM ZR54 calipers, ZRated® race discs, and Carbon Metallic® Brake Pads in the BMW Performance 200. 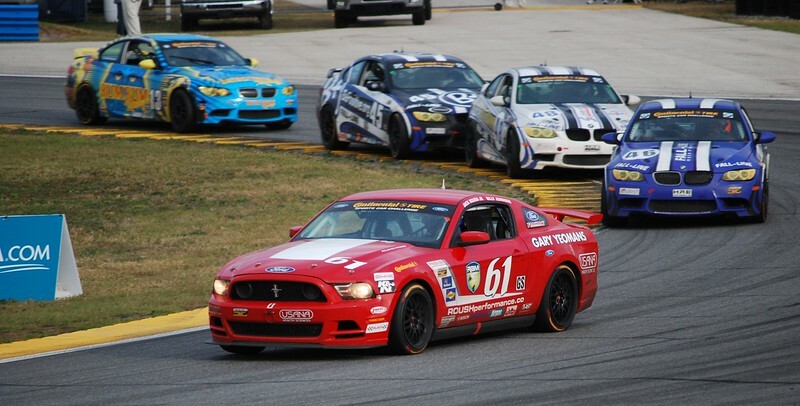 Winning GRAND-AM teams and drivers know the secret. 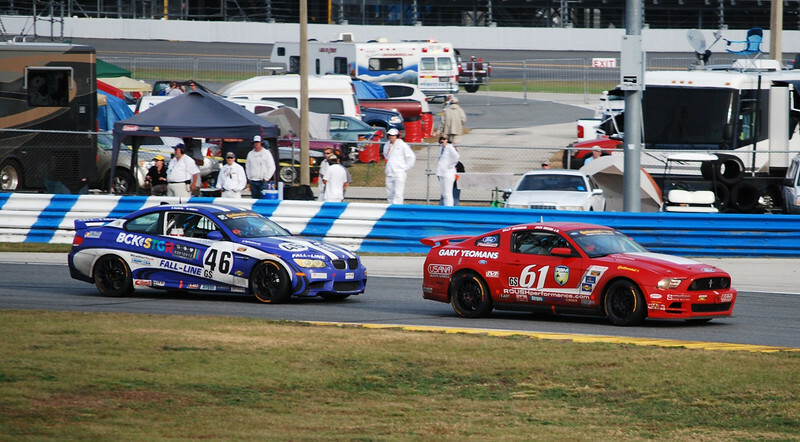 Johnson and Roush Jr. celebrated their win on Friday in the first race of the 2012 Continental Sports Car Challenge Series at Daytona. Roush Racing’s No. 61 Ford Mustang Boss 302R GT was equipped with Performance Friction ZERO DRAGTM ZR54 calipers, ZRated® race discs, and Carbon Metallic® brake pads. “I love this track. There is a lot of history. It’s a very special race to win. I can’t be happier.” Roush Jr. said. 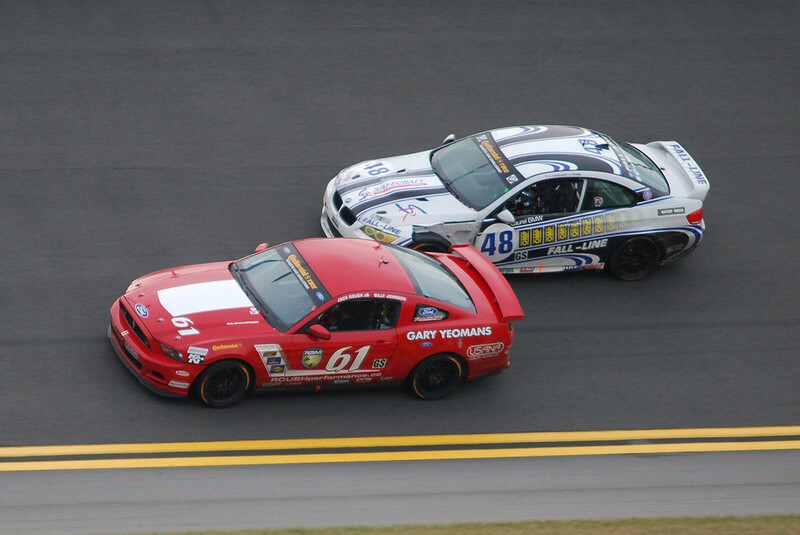 The victory was the first GRAND-AM victory for Jack Roush at Daytona. Other notable finishers included BimmerWorld Racing with a podium spot in ST while utilizing PFC race discs and Carbon Metallic® Race pads. Despite Friday’s rapidly changing track conditions, Roush teammates, Billy Johnson and Jack Roush Jr. were able to hold off the 82-car field and outperform the competition in every braking zone. The track was wet for most of the race from a persistent light rain, but the rain didn’t slow the two Roush drivers down. There were 6 cautions, for a total of 25 laps, as the track conditions transitioned from an overcast rain to bright sunshine. After 41 laps Roush Jr., who started the car, hit pit lane for the driver change. Billy Johnson climbed aboard and took the No.61 to the lead. Johnson led the final 18 laps and secured the win with two Fall-Line Motorsports BMWs in pursuit. With a huge win to kick off the 2012 season, Johnson and Roush Jr. now have their sights set on the championship. 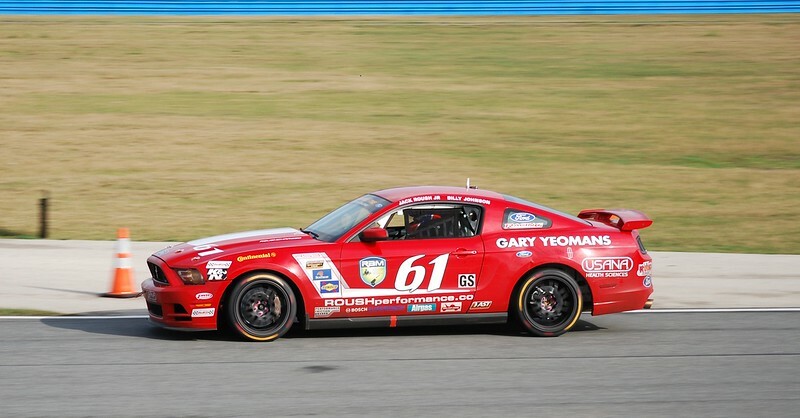 The next race for the GRAND-AM Series Continental Sports Car Challenge Series is March 30-31 at Barber Motorsports Park. At Performance Friction, every employee has a “passion for the product.” And it shows. PFC brakes are the top choice in motorsports, winning more championships than any other brake on the market and the company also makes application specific upgrades for hundreds of domestic and import models. PFC brakes are specified on more fleets nationwide including 40,000 police cars in North America.